Providing you the best range of domex 700 ssab plates, welten 780e plates, hiten 780e plates, weldox steel plates, sailma e350 s355 plates and s690ql & naxtra 70 high tensile plates with effective & timely delivery. Domex 700 MC IS Hot rolled, extra high strength, cold forming steel from SSAB Sweden. Domex cold forming steels are thermo-mechanically rolled in modern plants where the heating, rolling and cooling processes are carefully controlled. The chemical analysis, consisting of low levels of carbon and manganese has precise addition of grain refiners such as niobium, titanium or vanadium. This together with a clean structure, makes Domex Steels the most competitive alternative for cold formed and welded products. Domex 700 MC with designation D and E meet and exceed the demands for steel S700MC in EN-10149-2. The extra high strength steel grades are used in applications such as truck chassis, crane and earthmoving machines. In these applications, the high strength of the steels is used to save weight and/or to increase the payload. 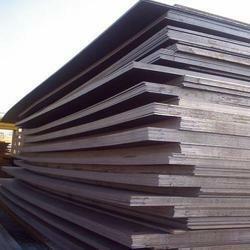 As a result of this and the good formability of the steels, the total costs can be reduced. WEL-TEN series is high tensile & superior weldability steel featuring a rich variety of product categories. It has a wide range of application, including pressure vessel, oil storage tanks, penstock, bridges, buildings, construction equipments and industrial equipments. We at Leomet are authorized importers & stockist of Welten 780E plates from Nippon Steel Sumitomo Metal Corporation (NSSMC). 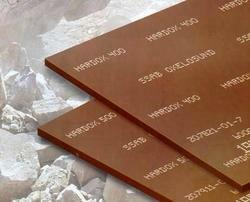 Weldox is Structural Steel plate from SSAB Sweden. Weldox 700 is a general structural steel with a minimum yield strength of 700 MPa. Weldox 700 meets the requirements for the corresponding steel grades and qualities according to EN 10025. Applications Load carrying structures having high demands on low weight. Size: 05mm~ 30mm x 1500mm ~12000mm. Domex cold forming steels are thermo - mechanically rolled in modern plants where the heating, rolling and cooling processes are carefully controlled. Domex 700 MC with designation D and E meet and exceed the demands for steel S700MC in EN-10149-2. The chemical analysis, consisting of low levels of carbon and manganese has precise addition of grain refiners such as niobium, titanium or vanadium. This together with a clean structure, makes Domex Steels the most competitive alternative for cold formed and welded products. Domex 700 MC is available in the range of sizes tabulated below in as rolled or pickled condition with mill edge. For material with trimmed edges, the width is reduced by 35 mm. Some exceptions may occur. Impact Strength: The Sharpy V-notch test is carried out according to EN 10045-1. Other test temperatures and impact strengths are available subject to special agreement. A high strength structural steel supplied in quenched and tempered condition. The steel is designed to provide excellent welding and bending properties and it offers substantial possibilities for savings in material costs, processing and handing. Due to its high strength, it enables design of lighter, more durable and efficient products and structures. 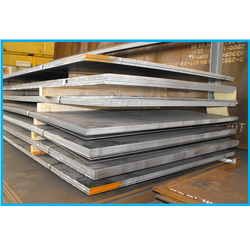 We at Leomet Alloys are India's largest stockist of S690QL steel plates. We maintain S690QL Welten 780E LT from NSSMC Japan. 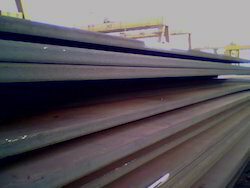 S690 QL is a high yield structural steel grade produced in compliance with EN 10025:6:2004. The material is heats treated using the quench and temper process and has good bending and welding properties. - The code "S" for steel grade S690QL means structural steel. - The code "Q"refers to the delivery condition, in this case to quenched & Tempered. Due to the materials high strength nature, using S690QL will promote leaner designed structures with increased payload capacity and energy efficiency. 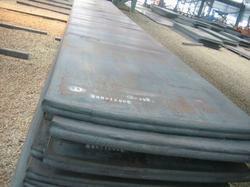 Looking for High Tensile Steel Plates ?